OH NO! Your home is in a flood plain and you need flood insurance to close or refinance! Don’t worry it’s not the end of the world. 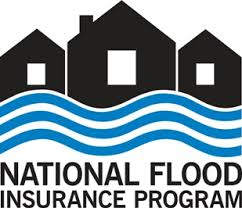 We can show you how to get better flood insurance rates in AZ. Don’t waste time calling around for rates as most flood rates are set by FEMA and prices of flood policies should be fairly similar. However, the most important part to a flood rate is accurate flood zone determination, grand-fathering and possibly an elevation certificate. It’s important to note that most property and casualty insurance agents prefer NOT to offer flood insurance due to the above mentioned requirements. Determining flood zones and quoting accurately can be a challenge and many agents simply refer the business to another agent. If you are buying or refinancing a single family home in Arizona and you have been told by your realtor or lender that you need flood insurance just contact our AZ Insurance Agency and we can shop with several carriers and normally return proposals the same day. Flood rates are set according to the flood zone your home is located in. 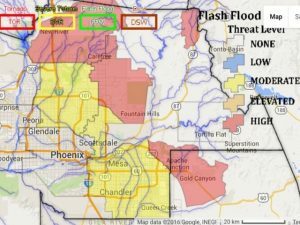 If you are in AZ Flood Zone “X” you are in a Preferred Risk Flood Zone. Rates will typically be about $300-400 year and include contents coverage too. If you are in AZ flood zones A or AE then you will typically see flood insurance rates in the range of $1000-$2000 annually. Dwelling coverage has a maximum amount of $250,000 for the dwelling structure and contents coverage is “optional”. Sometimes a particular community in AZ has been “grand-fathered”. This means that you may be entitled to a break on flood rates. You can use the Grandfather Rule if you have proof that your home was built in compliance with the flood map that was in effect at the time of construction. Your insurance agent can help produce the necessary documentation. Homes built before the community”s first flood map was issued (pre-FIRM) must have a policy in force before the new map takes effect to qualify for grandfathering. Note, using the new flood map to rate your policy may actually result in a lower cost than when grandfathering applies. Be sure that your independent insurance agent checks all options. If your home is in a high risk flood zone – typically A or AE – you may want to obtain an elevation certificate to help lower your flood insurance rates. An elevation certificate will verify where the home sits in elevation as compared to the maps base flood lowest floor. Typically if the home is elevated several inches to feet above the base flood elevation then rates can be drastically lower overall. We can direct you to local engineer surveyors who will provide a stamped elevation certificate for about $350-$400. Once we have the certificate we can submit the info directly to our flood carriers to see if the rates can be lower. However, sometimes the elevation certificate will actually verify that the home sits “lower” than the base elevation and preclude us from better rates. A few manufactured home insurance companies still offer flood protection as an endorsement to the AZ manufactured home insurance policy. This is great news for mobile home owners because this endorsement is generally about $20-$40 annual! For help on how to get better flood insurance rates in AZ please feel free to contact our independent insurance agency serving all of Arizona. Our toll free phone is 1-866-580-6767 or send us an online request for flood ins proposals here. You can also upload your insurance declarations pages for flood and any other policies that you would like for us to review and compare. Previous Post: Home Insurance Secret – If You Only Knew Better?